Thank you to all of CardMonkey's followers -- old and new, gold and silver -- for your very sweet comments about my Gingerbread Slider card posted for my first-ever blog hop, the Christmas Card Blog Hop sponsored by Jennifer at Crafty Card Gallery. I've read and enjoyed every one of your comments. They're inspirational and keep me going when the Craft Loft (upstairs) gets cold and lonely. If you're just joining in on the "hop" ... still feeling bloated from too much turkey? ... it's not too late to get in on the fun and have a chance to win that handmade cozy cover for your Cricut Expression. The random drawing will be tonight at 8 p.m. EST, so be sure to leave a comment, etc. .... follow the directions on the blog hop post, two down from here ... to get your chance(s) to win. And for those who requested baker's twine, your 5-yard freebie is packaged up and in the mail. If you'd still like to get in on this gift (Merry Christmas!! ), just send me an e-mail at cardmonkey@comcast.net with your name and address. I still have plenty more, in case you want to try it on today's featured card. 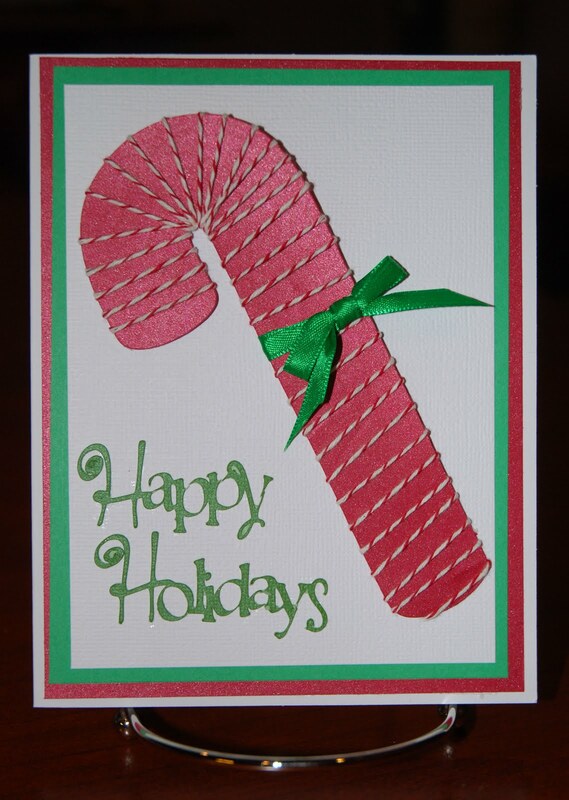 OK, on to the card: The image (candy cane) on this card came from the Make The Cut User Gallery, an SVG-file that was downloaded. I like the simplicity of it. If you don't use or have MTC and want to locate a candy cane in one of your Cricut cartridges, but don't know where to start looking for it, go to Cricut Search. (That's a clickable link to Shawn's great site at http://www.cricutsearch.com/.) If you lose that link, go to the blinkie I put on the sidebar. Cricut Search is an invaluable tool for those of us with a bunch of cartridges and little patience or time to scroll through the books. More on that later! I wrapped the cut candy cane in baker's twine to give it that peppermint feel, and topped it with a green bow. How cute is that? And easy-peasy too! The sentiment is cut from Cricut's Joy of the Season cartridge. A little sidenote on Cricut Search, with a shout-out to Shawn and her team with compliments for their hard work. Yesterday, I was working and demo'ing my Cricut at my new retail store (http://www.263marketplace.com/) in Warminster, PA. My Gypsy was giving me headaches, though I brought a few cartridges with me -- but just the cartridges, no overlays, no books. The Cricut Search feature on my laptop enabled me to scroll through to the cartridge I was using and to have the book electronically, and to see all the images. Incidentally, at the Marketplace, I'm selling my cards and corner bookmarks -- but believe me, I'd have to sell an awful lot of them to make the rent. No wonder Hallmark stores have tens of thousands of cards!! I'm also selling off part of my collection of Byers Choice Carolers (see their website by clicking HERE) at half of retail, and far less than these babies are worth on the collectible market. All of the ones I am selling are retired and valuable, at only $40 each. If you're a collector or just want one or two to start, contact me! Also, I've teamed up at my retail store with a terrific scrapper named Chris Webb. 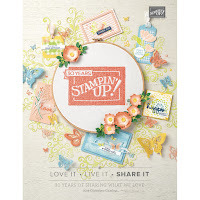 Chris owns/operates ScrapConcepts, which sells and has FREEBIES for printable embellishments and digital scrapbooking. 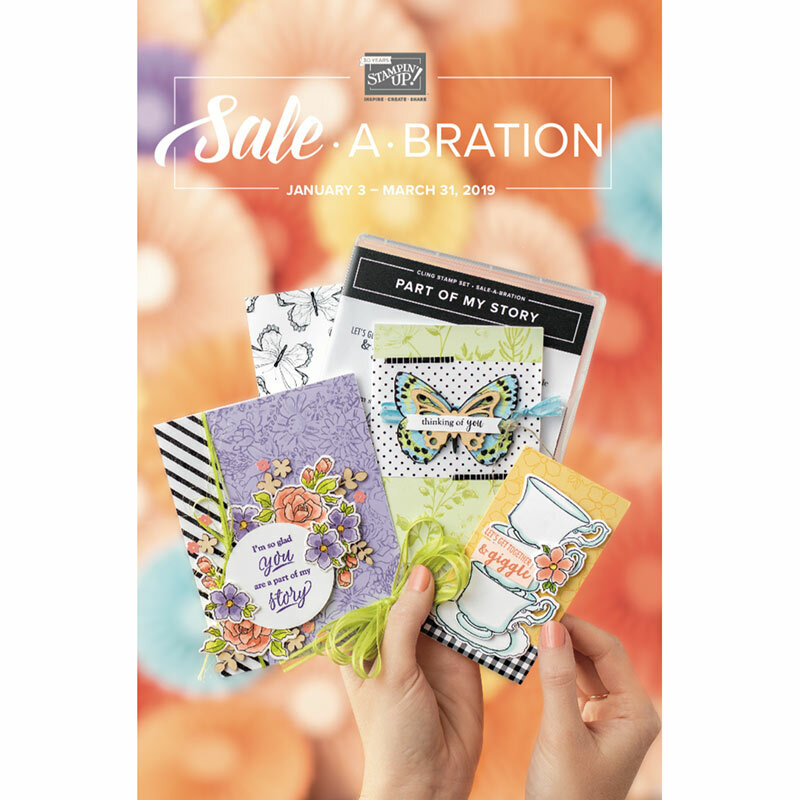 Chris is adding a "Craft Fair" part of her site where interested cardmakers can sell their wares without the fees of other online sites. Click on Chris's link above for more info. But I digress! More on Shawn at Cricut Search ... Shawn tells me that she is adding a position locator for each page ... that would be really helpful, because it was a guessing game for me without the overlay. Some of Cricut's newer cartridges (see Car Decal, as an example) highlight the button position in red on each page. I'm pretty sure Shawn told me that she will have a numbering system. THANKS Shawn for putting in this work for us!! Another shout out ... Right now, I have all of my cartridges stored in a not-so-portable drawer-bin system, arranged alphabetically, with their books and overlays in shoeboxes below. It worked when I wasn't hauling them to/from the shop which is just open on weekends (Fri, Sat, Sun). I'm now going to get myself at least one -- probably two -- Scrap'NTotes for those times (the shop, and crops) when I want to bring all my cartridges. Thank you to Marlo Letterle for her insight in developing this system (see blinkie at right for more info on that). It's on my Christmas wish list!! OK, back to bed ... for those who know me, I have just two more days at my old day-job before having the rest of the week off, and starting the new day-job on Monday 12/6. I am hoping to spend this week cradling my new grandbaby -- my first! -- if only she would make her entrance to the world. She's too warm and cozy in Baby Mama, I think. Hurry up, Charlotte!! In the meantime, more time for cardmaking! What an adorable card! Love how you used the twine! Cute idea for the candy cane! Love the candy cane.. Thanks for sharing..
GREAT IDEA ON THE CANDY CANE!